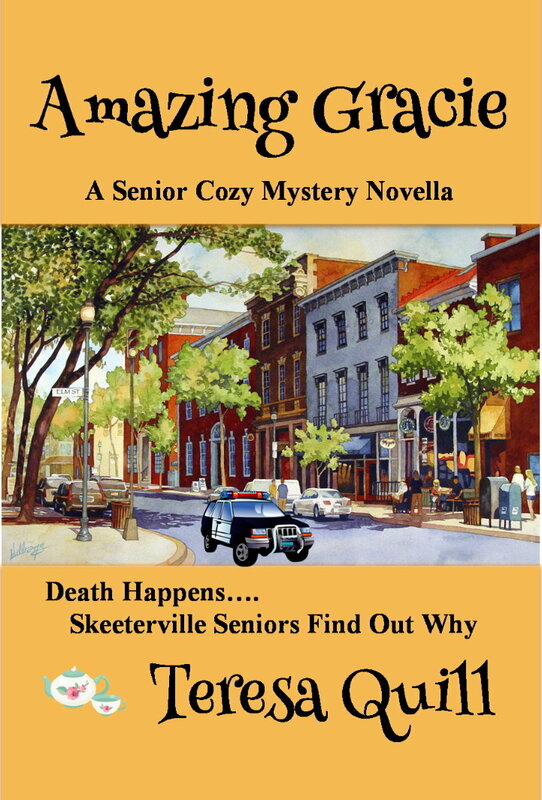 This is the first novella from Skeeterville, a small town in Maryland with an apartment building of active ornery seniors. The seniors first scheme to save John from directing traffic at the four way stop when he’s drunk. When he sees a dead man in a truck, they work together to solve the murder. Gracie takes a deep breath and steps in to save the day. Gracie and John belong together. You’re never to old for love, even when there’s an interesting death to investigate. More stories from Skeeterville are in the works. Join my newsletter so I can keep you posted! Irene is at it Again! 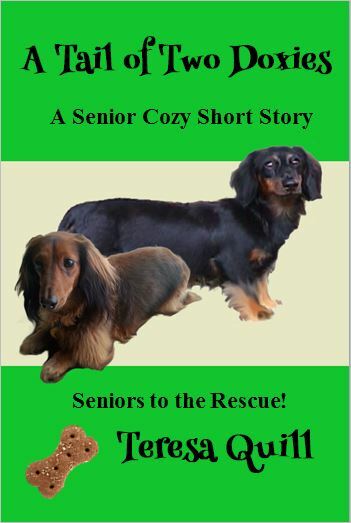 In this short story, Gretta learns that the two doxies she greeted daily on her walks are being abused by Joe Crawley. Seniors to the rescue! In the dark of night, they dognap the two dachshunds only to find that one can’t walk and the other is pregnant. Their apartments only allow one pet per apartment. Mean Eugene is on a mission to get rid of all of them. But why is Eugene so mean? And what about all those puppies? There’s no murder in this short story, but if I expand it someday, old man Crawley will get his comeuppance. A Tail of Two Doxies is a sweet rescue story with a good ending. If you love dachshunds, or any dog, I think you’ll love Gretta. This is a special story. My doxie angels are on the cover. I wrote about them at the end of the story.